Under Janet’s leadership, TEACH Rwanda has been educating Rwandan teachers — who had never seen a child’s book — and equipping school libraries with culturally relevant and engaging literature since 2012. 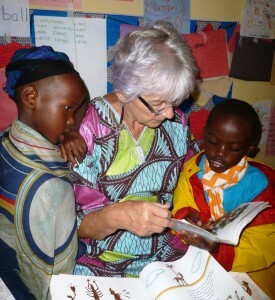 Jan’s focus is on using the power of books to reveal the wonders of the surrounding and far away world to the 3-6 year olds TEACH Rwanda supports. Thanks to the dedicated TEACH Rwanda volunteers, who carry books and puzzles in their suitcases, hundreds of children in TEACH Rwanda schools have the chance to become prolific readers, writers, and artists. Janet spent her life working in the field of pre-school education emphasizing reading readiness and exposing children, teachers and parents to the best in children’s literature. Several years ago, she flew to Africa to set up pre-schools and teacher training programs in Rwanda, a country ravished in the 1994 genocide that killed hundreds of thousands. 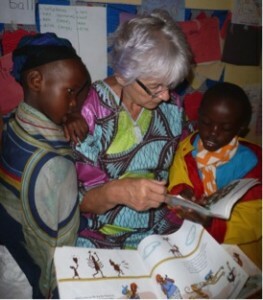 We recognize Janet Brown as Runner-Up in the 2015 Freedom Through Literacy Award for equipping teachers and librarians with the skills to upgrade the quality of education in Rwanda to become self-sufficient and for bringing the best quality of culturally sensitive children’s literature to the people of Rwanda. For more information visit TEACH Rwanda. Thinley Choden believes that literacy is the foundation for gainful engagement with the world, a stepping stone to pursue our dreams. Bhutan is traditionally an oral society with a 54% literacy rate. Thinley leads READ Bhutan, the only organization building a network of self-sustaining community public libraries — where there was previously no public library system — and using them as a platform for education, community and enterprise development. Thanks to Thinley’s pioneering work, today over 35,000 people have access to books where there were none. She is considered to have done more than any other person in Bhutan to promote a love of reading and to create a culture of literacy. We recognize Thinley Choden as Runner Up in the 2015 Freedom Through Literacy Award for her relentless pursuit in helping rural communities along the treacherous roads of Bhutan achieve literacy, inspire the next generation of great thinkers and leaders within Bhutan and for helping empower women. 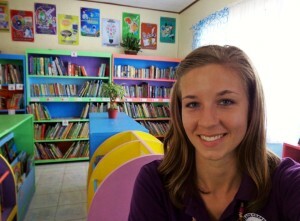 A U.S. Peace Corps volunteer, Melissa made it her mission to provide books to the 1,400 primary school students in Magarao, where over 98% had no children’s books in the home and only 2 out of 40 teachers had non-text reading materials in their classrooms. Now, all 1,400 children and their teachers have access to over 4,000 thanks to Melissa. Though many Peace Corps volunteers create libraries for their schools, Melissa Clouser made her project one-of-a-kind by including exemplary extracurricular and summer remedial reading programs, incorporating a variety of media to improve her students’ reading capabilities, creating a school-wide campaign to promote a culture of reading and designing a computer based inventory system. 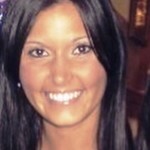 Melissa partnered with the local university librarians to help sustain the library. She also trained 40 teachers in best practices to utilize the reading materials in their everyday lessons and inspire literacy in their students once she left her position. 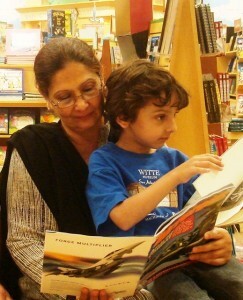 Her work was recognized by the local Department of Education who declared her library and literacy program would serve as the model for all schools in the region. Melissa Clouser, “global citizen,” is recognized as a Runner-Up in the 2015 Freedom Through Literacy Award for her vision and innovation in literacy which inspired a community. 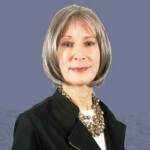 Janice Komisor has devoted her professional life to helping “disempowered” learners move from the margins of society to the mainstream. At ProJeCt of Easton, which serves 5,000 individuals a year, Janice established the Lehigh Valley’s first program to address the language and literacy development of at-risk children and their parents. Many literacy programs focus either on young children or adults; Janice and the “Family Literacy Program” at ProJeCt of Easton works with whole families to break the intergenerational cycle of low literacy. By advancing parents’ literacy skills through evidence-based methods, “Family Literacy Program” allows parents to be the first and most important agent and teacher for their children. 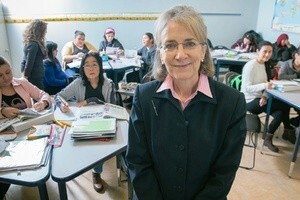 We recognize Janice Komisor as a Runner-Up in the 2015 Freedom Through Literacy Award for her leadership in literacy education and her devotion to helping “disempowered” learners move from the margins of society to the mainstream. Quintin’s view of literacy, framed while a student at Georgetown, Cambridge and Oxford, is that it is a fundamental tool for citizen empowerment, which in turn, is the cornerstone for democracy and sustainable development. The goal of “Library Renewal Partnership,” founded in 2010, is to empower over 2 million citizens in the Philippines by helping build at least 200 community education centers by 2020. So far, Quintin has established 75 libraries in underserved communities across the Philippines, where he believes that public libraries are positioned to serve as strategic hubs for citizen empowerment at the community level. 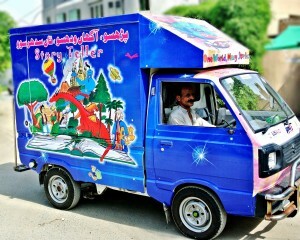 What makes his initiative unique is his model, derived from research, that enables any citizen to initiate, develop and sustain pubic libraries in his or her community. In one of the villages impacted by their libraries, the program reports that literacy rates have improved from 10% to 53% and dropout rates have reduced from 70% to 20%. 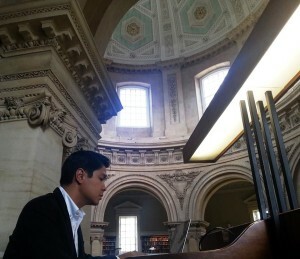 His libraries can be found in farms, hospitals, and prisons to read more marginalized sectors of society. Quintin Jose Pastrana is recognized as a Runner Up in the 2015 Freedom Through Literacy Award for developing a coalition of literacy partners to drive the leading and fastest growing literacy program in the Philippines.